Nanaimo home sales decreased 34% in March 2018 when compared with March 2017. The average sale price increased 10%. The median house price was $537,500. Parksville/Qualicum home sales decreased 33% in March 2018 when compared with March 2017. The average sale price increased 28%. The median house price was $629,000. 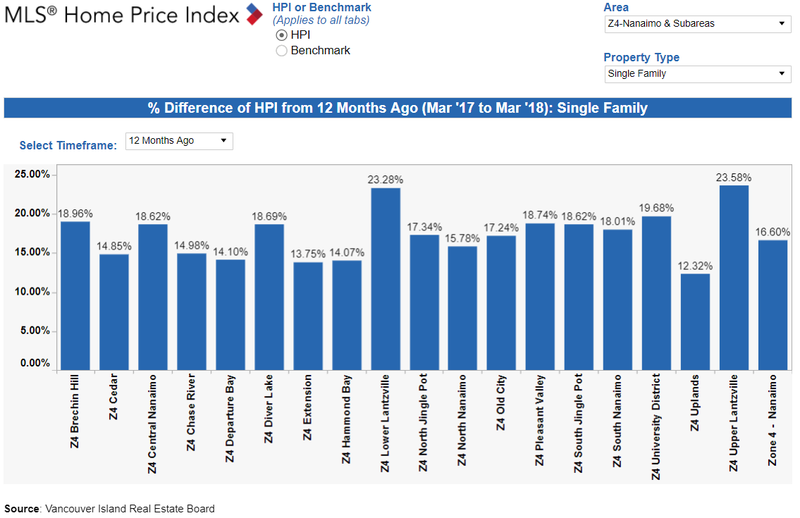 In Nanaimo for March 2018 there were 272 active listings of single family freehold homes, which is 11% lower then March 2017. There were 101 reported sales which is 34% lower then March 2017. There is an interesting article by the Chief Economist of the BC Real Estate Association (BCREA) about how the latest proposals from the BC Government to try and drive down house prices could have some unanticipated consequences - http://bcrea.bc.ca/docs/economics-forecasts-and-presentations/the-economic-fallout-of-housing-price-shocks.pdf?sfvrsn=2.